Here we bring you an article summarizing essential fundaes from yet another graduate – Ankit Jain who graduated this year from the Department of Mechanical Engineering. Read on to find out how he bagged an offer from CleanMax Solar – a coveted company in the energy sector. I graduated from the Department of Mechanical Engineering as a Dual degree student in the year 2017. You can look me up on Linkedin to know more about my work and for even more fundaes you can always approach me for midnight philosophical discussions in the hostel terrace. How was your placement experience? Frankly speaking, my dependence on placements was less because I did the hard work of identifying the areas which would be best for me as per my interests and scope beforehand. I was also fortunate to get to know a lot of opportunities which most people were unaware of. Hence I did a very calculated preparation but made use of the experience which placements offer us. I enjoyed solving business cases. The semester was not very engaging as I did an internship, attended a conference, worked on a social entrepreneurship idea and a host of other things. In the end, I got the reward of this focused preparation as my critical phase during the placement was Day 2 which brought me its desired fruits. Tell us more about your personal interviews? It’s important to think of interviews as a normal conversation. Interviews are mostly based on your resume, so in that room, you are the most knowledgeable person when it comes to the points mentioned in your resume. You just have to convey it in an articulate manner. Have confidence in what you are about to sell in your interview about yourself and let the company which takes you be the company who value you for what you are. I went to interview with this mindset and my first interview went by like a breeze. The initial questions were from my resume after which we digressed into generic questions about my interests, future ambitions, campus life etc. A market entry case was given to me which was picked from a resume point. I could find a flow in the questions asked to me in the subsequent interviews hence there was a coordination between different interviewers as well. The final interview was with the CEO of the company which was more about understanding who I am and the best role I can play in the organization. I pitched myself as an enthusiastic and dynamic individual engaging in a lot of activities and immersive experiences, making the best use of the opportunities which came to me. How important are Positions of Responsibility, CGPA, and extra curricular activities? PoR and Extra-currics – PoR journey is something unique to all students. So one can never comment on the best PoRs but the underlying point is to try out a lot of stuff in the campus initially and then select a few areas/teams where you could exhibit a good performance/track record. PoR scene is not very fancy in the institute and can send harmful shock waves to anyone who attempts to compare their resume with their friend’s. Hence, it’s important to have a conviction in yourself towards your activities and interest areas which makes you different from others. CGPA – My CGPA scene has been quite a roller coaster which a big start in the first semester, touching the lowest in 4th semester and then a constant eventual rise to decent levels during placements. Hence my take on CGPA is that if you are extremely passionate about something then don’t let cg become an obstruction. But have it enough so that you at least don’t get rejected on the shortlist of the desired companies. 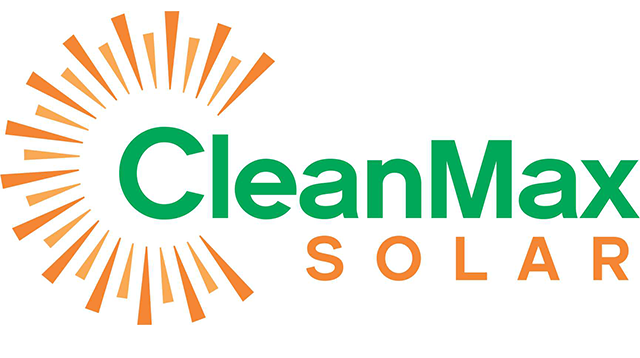 What are the job profiles that CleanMax Solar offers? Work profiles required by CleanMax includes business development, designing, procurement, corporate finance, Project and O&M. CleanMax primarily takes students for Business Development profile but finance, supply chain are also options which some of our campus Alums have opted for. What does your work involve doing? My profile is Business Development Manager. My primary responsibility is to get good business for the company by approaching clients and converting the leads into successful deals. Feel factor in this profile is that you become the face of the company and represent it in front of leadership (CXO’s) of other companies and government officers. My work also involves a lot of traveling to different parts of the country. Why did you choose this area of work? What has been your experience so far? Firstly, the domain of solar is creating a buzz as of now with the government giving a lot of incentive and companies enthusiastic about it. Hence, I wanted to become part of such massively growing sector with an enormous future scope. Secondly, BD profile requires you to know about the domain in and out and subsequent learning takes place during the client interaction. Thirdly, CleanMax has an amazing mix of people having vast experience in renewables and from IITs-IIMs in all divisions and a pan-India presence as well. Being the market leaders in the corporate rooftop solar space, it’s a feel to be associated with CleanMax. It had been an incredible learning period for me right from learning basics of the corporate world behavior to developing the nitty gritty about the solar space. With the kind of focus given on renewables at this point and futuristic technological & Policy Developments taking place (eg. Sh. Nitin Gadkari’s recent comments on EVs), renewables are one of the best fields to be in at this point of time. What does Cleanmax Solar look for in its potential employees? CleanMax primarily looks for people who can communicate well and who can fit into the culture of the company. We work in a very dynamic environment where we engage with 10’s of companies at the same time and simultaneously look for other potential clients. We have grown big enough to be called a startup but still, ‘Work hard, party harder’ suits us quite well. I pitched myself as a policy guy highlighting the relevant credentials and I was valued for that. The kind of points I had in resume was quite different for what you generally find in resumes and that’s what my interviewers probably liked it. Any advice you would give to students sitting for placements? The decisions you’ll make now will have long-term impact on where you wish to reach ultimately. By investing time in evaluating different options now itself, you can save your valuable months which you can otherwise waste while shifting from company to company. Do you have a life goal or intense desire for something? What are the options you have form placements? Are placements even offering what you are wishing for? Can you find some intersections in 1st, 2nd and 3rd? Whatever you decide, it’s important to have a deep conviction in your decisions which comes by testing your thoughts all the time. Hence talk to people working in the space you are banking on, understand the work environment, future prospects of the domain, growth opportunities in the profile etc. Also, check if there is any peculiar interest which you would like to pursue in your free time and if the city/profile would offer you that space. Think about the kind of life you want to live to post the campus life and optimise all parameters. The placement process is not the end of the world. There are a plethora of opportunities in whatever gives you a kick and there is an unimaginable willingness in the market to engage IITians like us. Hence don’t compromise, don’t settle, just strive for the best which world has to offer to you. This article is a part of the series – The Placement Guru. To read more such articles follow us on our Facebook page.